Environmental graduate student Chesney Barrett infiltrates a group of eco-radicals intent on making an explosive statement with a nuclear bomb in Gallant’s (Satan’s Stronghold, 2006) thriller. 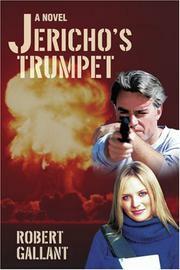 Travis Weld, head of a special government task force, kills an ex–KGB officer who has a couple of nuclear bombs for sale. Unfortunately, someone’s already bought one of them. Weld turns to Chesney, whom he’s worked with before. As a science-fair judge, Chesney befriends the Russian’s daughter, Maria Zarnov, and then manages to track a potential buyer through a quote, one he’d said on TV and later suggested for Maria’s presentation. This man, Stuart Kramer, is the executive director of the Global Alliance of Environmentalists. The alliance targets mostly oil companies, and Kramer seems especially to hate Titan Petroleum in Texas. Chesney gets in good with Kramer by documenting a few unreported spills around Titan’s pipeline. But she’s quickly wary of him after he hoodwinks her at a press conference, telling reporters that she found dead squirrels in the same areas. Chesney, believing Kramer may know about the bomb but is oblivious to the fact that “heavy hitter” Brian Forsyth’s planning on nuking a Titan refinery, looks for a stealthy way to warn Kramer. When it’s clear that Forsyth’s behind a bomb threat to Titan, Chesney plans to stop the eco-terrorists—she’ll just have to find the bomb first. As in other books in this series, Weld is merely the tough guy who thinks seduction is the only way to extract information from suspects. The story wisely centers on Chesney, an unquestionably intelligent woman who also makes an effective spy. She, for example, persuades people to trust her while remaining skeptical of everyone and manages, armed or not, to fight off both assassins and thugs attacking her. Gallant’s descriptions of Chesney’s Louisiana bayou life are vibrant: “Air hung heavy with the taste of weed-clogged water flavored by a hint of wild hibiscus and tangy cedar.” Action scenes, too, are exceptional, typically with Weld and partner Cassidy, who pride themselves on killing—in lieu of haggling with—terrorists. But it’s truly the resourceful and memorable Chesney’s story and, quite frankly, her series. Rousing gunfire and espionage elevated by an indelible protagonist.